Yep, don’t think I haven’t been there, stuck in that boring predictable routine of employment, what a nightmare. But – and this is where we get serious – the reality of running your own company can be mighty demanding, especially on your time. Ok, let’s be honest and make some fairly blunt statements: we entrepreneurs, company directors, general managers, call us what you will, we’re all marching in the same direction…to that sparkling little jewel at the top, called success. It’s your own special bubble and it’s not going to get easily blown away. Not if you’re made of the right material, the raw and solid stuff. So far, so good; your self-made man dream is bursting to leap out and I’m not here to forestall you. Yet, there comes a time in every entrepreneur’s life when a voice inside screams: ‘Enough!’Nothing wrong in that…providing you listen, and take action. Actually, having a good balance between your professional and private life will increase your motivation and productivity. There you have it in a nutshell, a healthy work/life balance. Er…how? Set achievable targets for different aspects of your work and personal life. keep your mind in focus. Block out your time so that you can meet one or two of these goals, whether this is related to your business or personal life. Stick to this strategy for about 3 months; you may be surprised at how your working hours become more productive. The aim is to get you shutting your office door gently, but happily. How cool is that. Can’t stop, I’m off to see my friends at the sports club oh, and on to a great family barbecue afterwards. Wey, hey…it’s business as usual tomorrow. Find out more about AutoAlert GPS Tracking and AutoAlert Job Management, how it can save you time and improve your work life balance. Had enough of theft and vandalism with your HGV? Below are a few useful tips that I hope reduce the occurrence and impact of HGV crime. Install a vehicle mounted CCTV camera, which is specially designed for commercial fleet vehicles to provide great security and for you too. When you stop for a break, aim to park within sight of your vehicle, at a busy, not remote, café and in a secure lorry park. Plan ahead for your route, avoiding the need to stop and ask for directions, resist offering lifts and keep any personal documents out of window sight. Avoid using the same café and time for meal break stops, newspapers or refreshments; keep to a pre-planned route which is regularly changed. Lock up and set the alarm securely, remembering to take the keys with you when away from the vehicle for any length of time. At an overnight stop, park in a well lit lorry park, with the rear loading doors hard up against a wall or another vehicle, to prevent them being forced open. When you return to your vehicle, before setting off again, check seals on any containers are intact. A vehicle tracking unit is an easy, inexpensive invention which can help protect your HGV, loads, documents, improve your security and road safety. Follow company security procedures rigidly and know what action to take if theft or an emergency should occur. If you are doing an identical journey with another driver, use an identical route and keep a security watch for each other. Best not to talk about your container, trailer or truck load with other drivers and customers or share any other relative information. Keys to compartments which carry loads should be kept on the same key ring as your ignition key so both are secured at the same time. Any shipping orders or other important documents must be protected from theft or the goods can be claimed by a thief, with the paper authority to do so. Well, when you consider that only a tiny percent of the thousands of HGVs which are stolen in the UK every year are recovered, and the loads which they carry offer good black market selling, doesn’t it make sense to take whatever precautions you can to protect your vehicle and its contents? 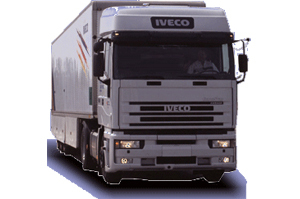 Do you drive an HGV on long haul routes? Find these tips useful? Hey, drop me a line and tell me about it. Be great to hear your views. Following conversations with our customers, we found the following ten reasons are those most likely sited for using GPS vehicle tracking technology. Customer service was cited as a key requirement. By knowing where all your vehicles are, if a customer rings you can immediately tell them what is happening and when to expect a delivery without having to ring the driver, find out where they are and then ring the customer back. By monitoring mileage, routes taken, idling times, or just through better scheduling of drivers, it is possible to make big savings in fuel costs – one of the largest costs for transport companies. As above, reducing mileage also directly reduces harmful exhaust emissions. Furthermore, by having access to real-time data it is possible to watch trends and have key information at hand. 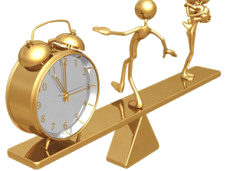 Using the working time reports means less reliance on job sheets or overtime sheets. It’s also a lot easier to see when a vehicle is used, for what purpose and why. Putting the information in the fleet managers hands reduces the need to constantly ring the driver to see where they are. This is safer for the driver and reduces stressful situations often caused by poor communication. Time stamped satellite imagery and historical reports make it easy to prove where a vehicle was at a specific time or what speed it was doing. This could cut parking or speeding tickets or even fines from suppliers such as ports who often charge if a delivery is not made within a particular time frame. With less paperwork and key information readily available, it is easier to manage your fleet and spend time on the jobs that matter. You can see where your vehicles are always, set up alerts if they enter or leave particular areas and get text message alerts to potential problems. This is particular relevant to our motor home or classic car customers. With AutoAlert you check the position of your vehicles when you want and wherever you are through your mobile telephone rather than relying on a distant call centre which only tracks your vehicle after it has gone. Improved performance, efficient operations and reduced costs allow for investment in new revenue generating areas. Find out more about AutoAlert GPS Tracking software and how it can benefit your business.